Sambar Powder is a blend of spices and lentils used in preparing authentic South Indian Sambar. It is very easy to make and comes handy while preparing Sambar . Most of the Sambar powder , uses the same ingredients with addition or deletion of 1-2 ingredients. The recipe which I have shared here is similar to that of MTR Sambar Powder . I often prepare this powder at home itself using dry mixer jar . 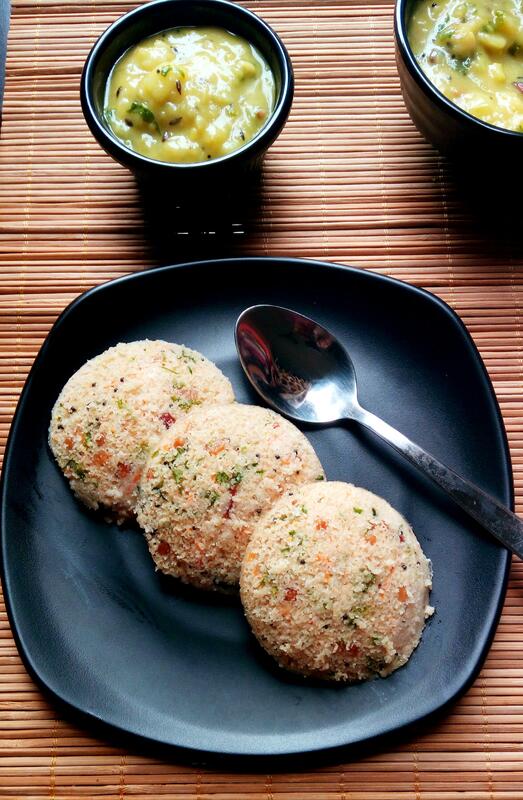 The recipe yields about 75 grams of sambar powder , which can be doubled , tripled or scaled up to kilograms. That’s how it is prepared at my home. But I had few requests from my readers to prepare Sambar powder at home in small quantities for regular use, so I’m posting this recipe. Also the main key to any Sambar is its , Sambar powder , if it is fresh , then sambar tastes utterly delicious and aromatic. Hence I do it in small quantities , so that it stays fresh and aromatic till it lasts. Using this powder , any kind of Sambar can be prepared . 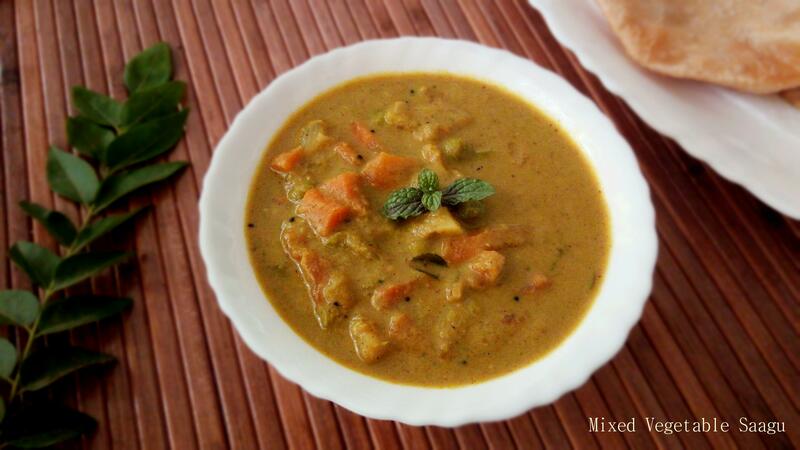 Either mixed vegetables sambar or else single vegetable sambar can be prepared. In my future posts I’ll share 2-3 different types of sambar recipes by making use of this powder . Bassaru and Masidda Soppu saaru also makes use of this Sambar powder. Also ,other DIY recipes on blog are: Biryani Masala Powder , Tandoori Masala Powder , Puliyogare gojju , Bisi Bele Bath Powder , Tea Masala Powder and Dry Chutney Powder . Sambar Powder is a blend of spices used to make authentic South Indian Sambar. Dry roast 1/2 cup , about 30 grams of coriander seeds on a skillet till aroma wafts. Transfer it to a plate and set it aside. Now dry roast about 25 grams of dry red chillies, around 18 Guntur Chillies (Spicy Chillies) and around 8-10 Byadgi Dry red chillies . Roast it on low heat, till you get the pungent smell. Transfer it to the plate and set aside. Dry roast 1 Tsp Chana Dal , 1 Tsp Urad dal and 1 Tsp Toor dal slowly on a low heat one after the other preferably , till it turns golden brown (Don’t burn the spices .Transfer the roasted dal to plate and keep it aside. Dry roast methi seeds followed by jeera seeds , till jeera seeds starts to crackle.Transfer to the plate with coriander seeds and red chillies, set aside. Dry roast 2 sprigs of curry leaves and 1/2 inch cinnamon stick and transfer it to the plate. Keep the roasted spices plate under sun for 30 – 60 minutes. Take all the dry roasted spices in a dry mixer jar , add turmeric powder and hing/asafoetida and blend to fine powder. (If doing it in a large quantity can mill it a Flour Mill). Store it in a airtight glass jar and use it as and when required. If you are doing for large quantities , then separately dry roast, each ingredient . As it is for less quantity , I have dry roasted all dal’s together. You can also dry roast 1/2 Tbsp of raw rice and blend it , its optional. If you are doing for large quantities , then separately dry roast , as it is for less quantity , I have dry roasted all dal’s together. Transfer the roasted dal to plate and keep it aside.